The benue links park in lagos is located directly opposite G. Kappa at Iddo motor park in Oyingbo, Lagos state. There is also benue links park (station 2) at Ojo, Ojo Cantonment, Lagos. Nigeria. Getting to Iddo park in Lagos is not that hard. 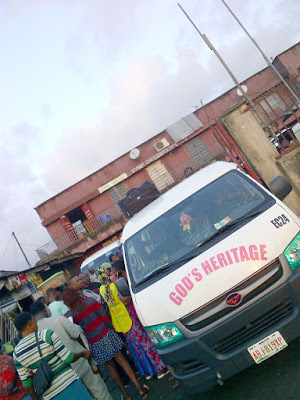 You can easily get Yaba bus from Oshodi and some other parts of Lagos. Just find your way to Yaba from anywhere you are in Lagos and board a keke or a cab from Yaba that can drop you at iddo park. The iddo motor park is meters away from the train terminus. Alternatively, you can book an Uber or Taxify cab to take you directly to the benue links park in Lagos. At Benue links transport company park, you can also get buses going to other parts of Nigeria. And be very vigilant and careful when you get to the park because some thugs are always there to drag you to board other buses that are not benue links buses. You might have to scream at them to leave you alone. Also ensure you get to the park on time as most of the buses traveling from lagos to makurdi, otukpo, gboko and other parts of benue leave early in the morning between 7 – 9am. You can even go to the park and book ahead of your trip. If you want to travel to benue during christmas season, you should get to the benue links park as early as possible. Else, you will be stranded. In fact, make sure you book ahead. There are always not enough buses to take people going to benue from Lagos during that period of the year.